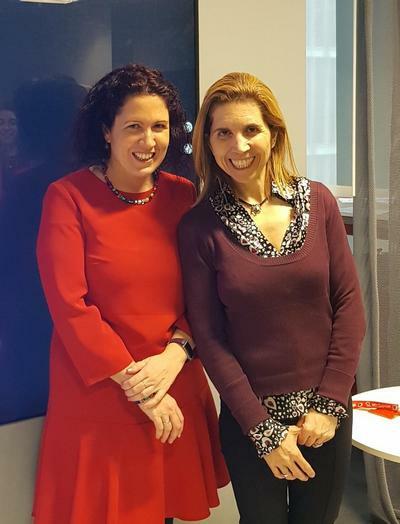 As part of the International Women Week, Vodafone celebrated the 6th of March a Data Diversity day, where the London Chapter of Women in Big Data was invited to Vodafone’s London Paddington offices for an internal event in the morning and an after work external event in the evening. The morning event was joined by around 80 people in the offices and was streamed to all Vodafone employees world wide. The evening event was joined by around 80 people in the office. The fascinating morning session focused on the world of Data Analytics and AI. The event was hosted by Ahmed Essam, Group Commercial and Strategy Officer, who delivered a key note around the commitment to Diversity from Vodafone. As a Vodafone executive, he shared his view on the importance of inclusion and of bringing diverse talent and way of thinking to the company. 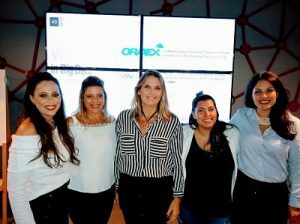 Nahia Orduna, from Women in Big Data EMEA Core Team, served as moderator and shared interesting facts about data to encourage the conversations. Senior Manager in Analytics and Digital Integration in Vodafone, Nahia explained why a career in Data is a great opportunity no matter your gender, age or career background. 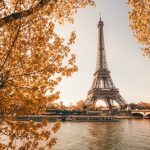 In addition to giving advice to people on how to pursue a career in data, she also presented the global partnership between Vodafone and Women in Big Data and celebrated that it is now one year old! The morning continued with Dr. Nuria Oliver, MIT PhD holder, multiple award winner, an elected permanent member of the Royal Academy of Engineering of Spain, and one of the most cited female Data Scientists in the world. Nuria shared her Data Science career journey, and also spoke on the ways Data Analytics adds commercial value to Vodafone, as well as about the work Vodafone does to improve the life quality for billions of people, making Vodafone a purpose-led organisation. In the afternoon, there was a panel discussion on data trends, moderated by Nahia and joined by 80 people from different companies. It was very dynamic and the topics discussed were around the latest data trends, privacy and quality issues, how to communicate data to people who are not data friendly, and how big organisations are embracing the data. Wendy Somerville, Head of Operational Excellence at Vodafone Business. Wendy is a senior leader in Vodafone with an extensive track record delivering operational excellence and productivity in a commercially driven, fast-paced and rapidly changing global environment. She shared her experience in transforming big organisations and the key role data plays in that. Helena Guerra, Senior Manager Big Data Technology at Vodafone UK. Helena provided insights around her experience as a key player in complex cross-functional and cross-cultural programs and the challenges of developing Big Data teams in Vodafone. Kellie Peters, Director and Data Rockstar at Databasix UK. Kellie’s passion about data was contagious to everybody in the audience as she enlightened the audience with her views about data privacy and ethical data management. Elspeth Finch MBE and CEO and founder of IAND, a digital platform designed to automate strategic account management with clients and suppliers. Elspeth, who was awarded an MBE for services to Engineering and Enterprise in 2017, shared her expertise in shaping the Government’s engineering policy with a focus on innovation and diversity through her work at the UK Royal Academy of Engineering and at the Institute of Engineering & Technology. 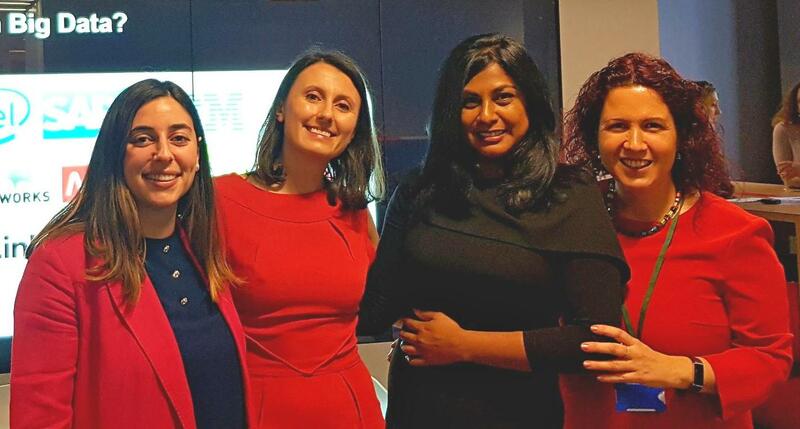 Following the panel discussion, Sagree Mahilall, who kicked off the Women in Big Data UK Chapter in 2018 and has been leading UK wide events since then, organised a competition for the end of the panel discussion. The prizes were 60 minutes coaching sessions which will be delivered by Stephanie Twineham, Global Human Resources Business Partner at Vodafone Business and Wendy Somerville and Nahia Orduna from the panel and also part of Vodafone Business Team. Ioana Margareta Ion, Regional Partner Manager at MAPR and Women in Big Data London Chapter lead, and Yasuara Noval, Solution Architect at Vodafone and member of the Women in Big Data UK Chapter, organised the event and led a great team of Vodafone volunteers: Helen Adesina, Scot Fyde, Elia Diaz Vazquez, Merwa Jassim, Elen Shaw and Sumana Rehmatullah. Women in Big Data wants to thank the organisation team from Vodafone who made it possible to celebrate a Data Diversity day, specially to Elena Fatisi, Group Diversity & Inclusion Manager, George Filtsos, Human Resources Business Partner and Oscar Machado, Digital Recruitment Manager. And thanks to all who attended. It was a long day, full of inspiration!